I have used this one for years. It's simple and keeps my plan for the week front-of-mind all week long. 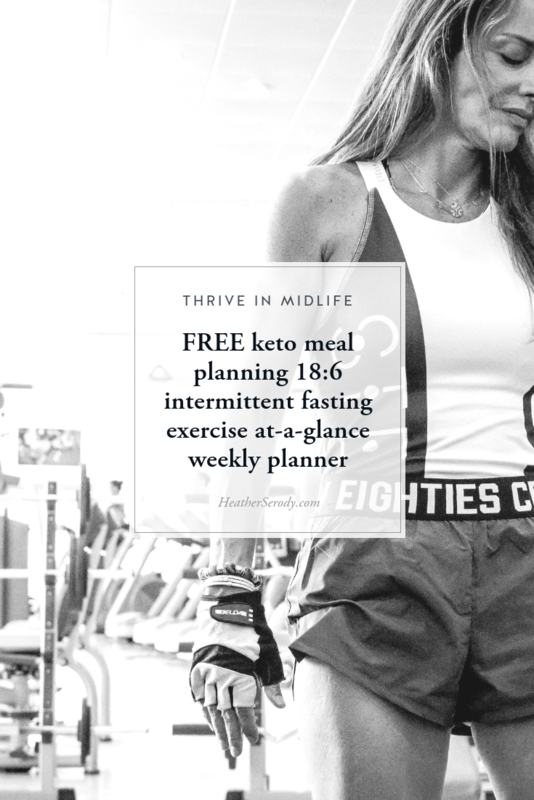 Knowing exactly what and when to eat, and committing to weekly exercise by just writing it down really keeps mine and my client's compliance rates much higher. It takes me about 5-10 minutes every Sunday afternoon to fill it out. This daily 18/6 hour intermittent fasting schedule assumes you are sleeping by 11 p.m. nightly. Your eating window is between 2-8 p.m. You may eat more than two meals if you wish. As with all things, listen to your body. If you feel you need to eat, eat Ketogenic meals until satiety. If you aren’t hungry, don’t eat. Planning ahead & prepping meals according to this schedule can help keep you keep things simple and on track with your ketogenic lifestyle. 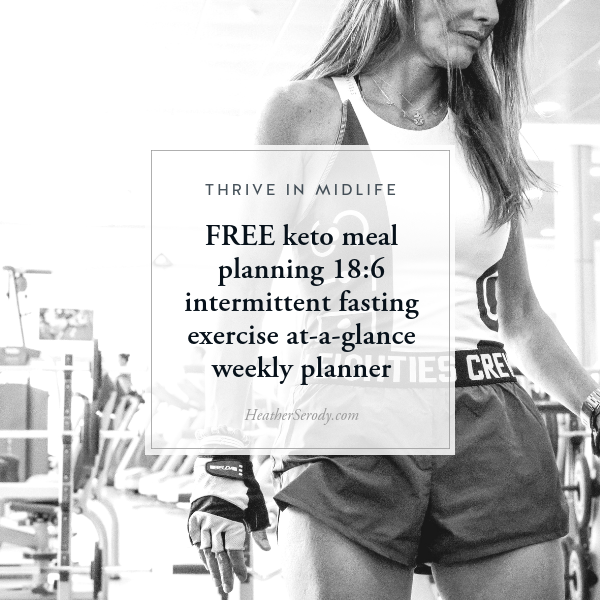 I'm making this keto meal planning + 18/6 intermittent fasting + exercise at-a-glance weekly planner available to you for FREE when you join my email subscriber list. You'll get instant instructions on how to download along with access to the entire Resource Library which is full of free downloads, cheatsheets, checklists, guides, and e-books all designed to make your life simpler, help make low-carb nutrition easy and simple, and help feel your best. Plus, you'll get exclusive content via email 1-3x a month that you won't find anywhere else on the site. Click the link below to sign up, and you'll get email instructions on how to download this printable right away.